Known for their red-hot denim line (a model off-duty fave, fyi), FRAME have built a name for themselves with their lifestyle staples – rooted in LA craftsmanship and inspired by 70s French style icons. 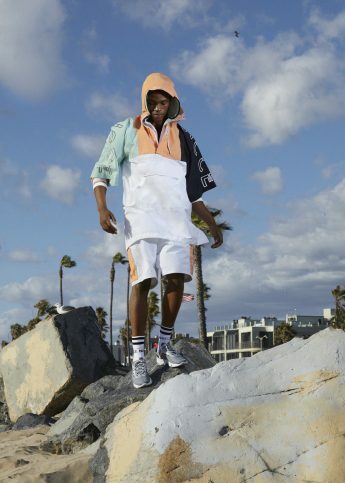 A riff on Barratt’s Instagram handle, @iblamejordan, the unisex line features casual classics – think tees, hoodies, boiler suits – with dishevelled elements such as paint-splatter and distressed denim thrown in for good measure. The collection launches on FRAME-store.com on the 8 October.